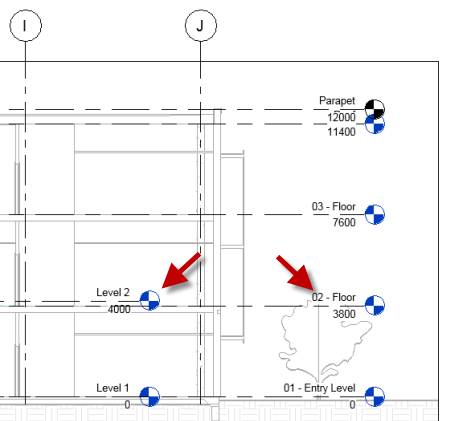 In the last Revit MEP tutorial, we created spaces for the rooms. We will continue working with spaces later, to add spaces for the plenum. In this tutorial, we cover about Copy/Monitor tool. We use this tool to monitor the relationship between linked file and our project. You can Copy/Monitor datum or objects in the project. In this tutorial, we will use it to monitor the levels. Open the file that you created in the previous tutorial. Open a floor plan, try with 1 – Mech. In the View tab, Create panel, click Section. 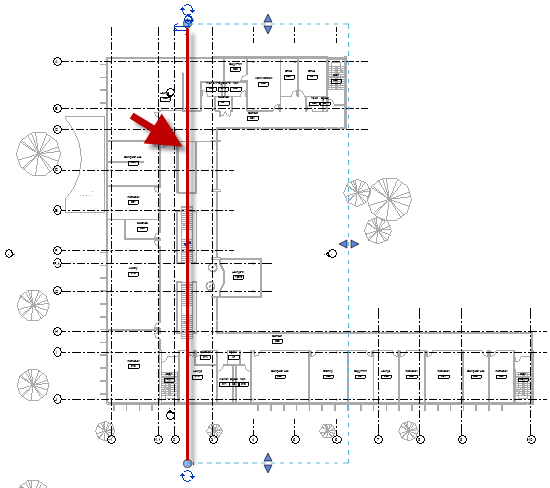 Create a section crossing the building like the image below. Open the section view. Review the section view. Notice that our project file only has two levels. The architecture model has three more levels. Also, the level 2 height is different than the architecture model. Checking the datum is something that you should do when you first start creating the project. However, it might be good to change this now so you can learn how to modify the design. We are going to fix this before we continue. Click the level 2 height value until you can edit it. Type 3800 to match it with the architecture model. 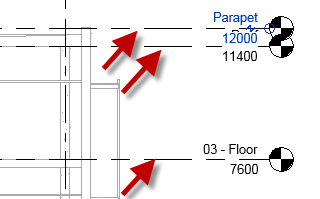 Because we created the spaces with the level height 4000, we need to change the spaces height too. Go to Manage tab, Inquiry panel. Click Review Warnings. You can check the overlapped spaces by clicking the space name in the list. The review warnings dialog doesn’t select the object, but it can help you to find it. We will not modify it one by one. We will change the height for all the spaces at once. Close this dialog. 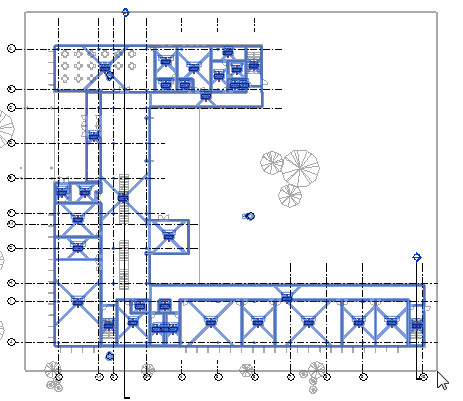 Open the 1 – Mech floor plan. Activate the Modify tool. Select all objects in the building. Make the window selection approximately like below. On the Ribbon, Contextual ribbon tab, click Filter. Click Check None to deselect all categories. Then check only the Spaces. By using a filter, you can select all objects in the same category quickly. We use this to select all spaces and change the spaces height at once. 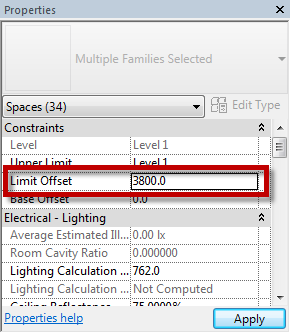 In the Properties Palette, find the Limit Offset. Change the value to 3800. Click Apply to change the limit. If you go to Review Warnings tool, the tool is now grayed and can’t be activated. It’s because we have resolved all the issues. Design changes are inevitable. The architecture design can change many times during the design process. When it happens, we want to be aware and review if it will affect our design. It is the main function of Copy/Monitor tool. Open the section view we created before. Go to Collaborate tab. In Coordinate panel, click Copy/Monitor> Select Link. Click the architecture file to select the linked file. You will see this panel on your Ribbon. We want to monitor the existing Level 2. We need to copy more levels to our project. Copying elements are not limited to the datum. You can copy architecture or structural element too. Now click Copy in the Copy/Monitor contextual tab. Select the three levels below. If you use the copy in the Copy/Monitor tab, the relationship between the elements in your files is also created. You don’t have to use monitor tools to monitor them. Click Finish to end the Copy/Monitor tool. Let’s test the relationship between the levels in our files. Try to change a level height. 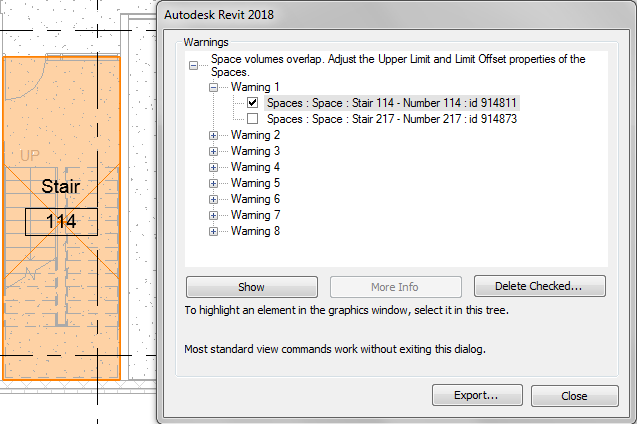 Revit will give a warning. 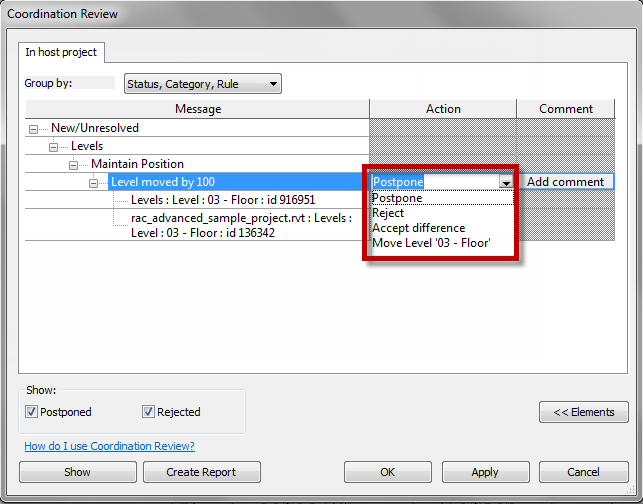 On Revit Ribbon> Collaborate tab> Coordinate panel> Coordination Review> Select Link. Select the architecture model from your view to continue. You can see all unresolved coordination in this project. You can choose an action to resolve this issue. If you simply want to move your level to match the level height, choose move level. 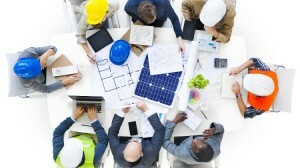 Those tools are very useful to resolve issues in your project. Copy/Monitor tool is pretty important to help the coordination between disciplines. Copy/Monitor tool is pretty important to help the coordination between disciplines. You can copy/monitor any elements that can affect your design. For example, the beams that might affect your ducts. The columns that might affect your sanitary equipment. However, only monitor what’s important to you. There are hundreds of objects in the model, monitoring them all can be confusing when the design changed.